Do you need a custom integration or software solution you can’t get out of the box? Mike Grossman Consulting can help you. 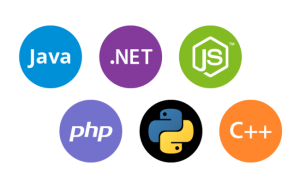 We work with many different software languages and can tackle any project big or small. Let us know what you need developed and we can provide a cost and time estimate free of charge. We strive to provide you with best in class service and quality. Sign up for our maintenance plan and we’ll keep you up and running 24/7. We provide great custom software solutions for our clients so please contact us now. You’ll be happy that you did.